Jurors began deliberations Tuesday in the penalty phase of the trial in the case of a U.S. Marine Corps veteran convicted of killing eight women. Defense attorneys say their client has shown multiple symptoms of impulse control impairment stemming from brain damage due to his mother drinking alcohol while pregnant, so jurors should spare him from the death penalty. Andrew Urdiales, 53, was convicted May 23 of murdering five women in Orange, San Diego and Riverside counties between 1986 and 1995. Jurors must now decide whether to recommend the death penalty or life in prison without the possibility of parole. Attorneys concluded their final arguments in the penalty phase on Monday, and jurors will begin deliberations Tuesday morning. Urdiales’ attorney, Denise Gragg, argued that brain scans and psychological tests showed Urdiales exhibited symptoms of someone afflicted with partial fetal alcohol syndrome. One expert testified that Urdiales’ brain showed “atrophy” that was consistent with someone much older than 39 when the scan was taken, Gragg said. It also appeared to the expert to be the type of brain atrophy consistent with someone who has AIDS, she added. Urdiales scored in the 2-4 percentile for frontal lobe damage, the part of the brain that controls social functioning, Gragg argued. “That’s exactly consistent with partial fetal alcohol syndrome,” she said. “He was born to a mother who had a lifelong habit of social drinking,” Gragg said. The brain damage as an infant left him extra sensitive to childhood trauma, including his older brother, Alfred, dying in combat in Vietnam. Until he was sent to war, his brother was Urdiales’ main caregiver, Gragg argued. A 3-year-old Urdiales used to sit on the porch waiting for his brother to come home after he died, Gragg said. The sibling’s death left Urdiales’ mother in a deep depression that left her distant and isolated emotionally, Gragg argued. So Urdiales lost two caretakers simultaneously, Gragg argued. Urdiales was also a victim of child molestation by a relative, who was also molested, Gragg argued. Then, after his family moved elsewhere in Chicago to escape the haunting memories of the home where Urdiales’ older brother grew up, the defendant suffered years of bullying at his new school, Gragg argued. All of the trauma left the adult Urdiales prone to over-reactions to slights or irritations, Gragg argued. So he did not lack all emotional control, but there were times he couldn’t properly check his anger, she argued. Murphy argued that Urdiales could control his anger, but chose to attack his victims because he is sadistic and a misogynist. Referring to the torturous sexual assault and attempted killing of one victim who got away, Murphy said, “She went to hell for the entertainment” of Urdiales. “This is his hobby. He’s doing this for fun,” Murphy said of the attack on the victim who managed to escape. 32-year-old Denise Maney on March 11, 1995, in Palm Springs. 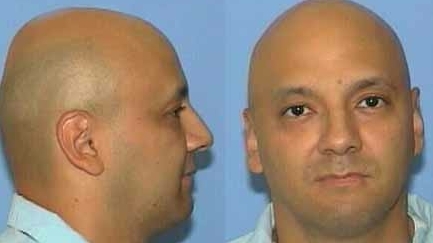 Urdiales was previously convicted of killing three women in Chicago in the mid-1990s.